THE TOMATO IS THE UNSUNG HERO OF THE KITCHEN. The humble tomato, in my opinion, is all too often taken for granted. If you stop and think about it, so many dishes that are family favourites use tomatoes in one way or another, from Spaghetti Bolognese to Tomato Soup. 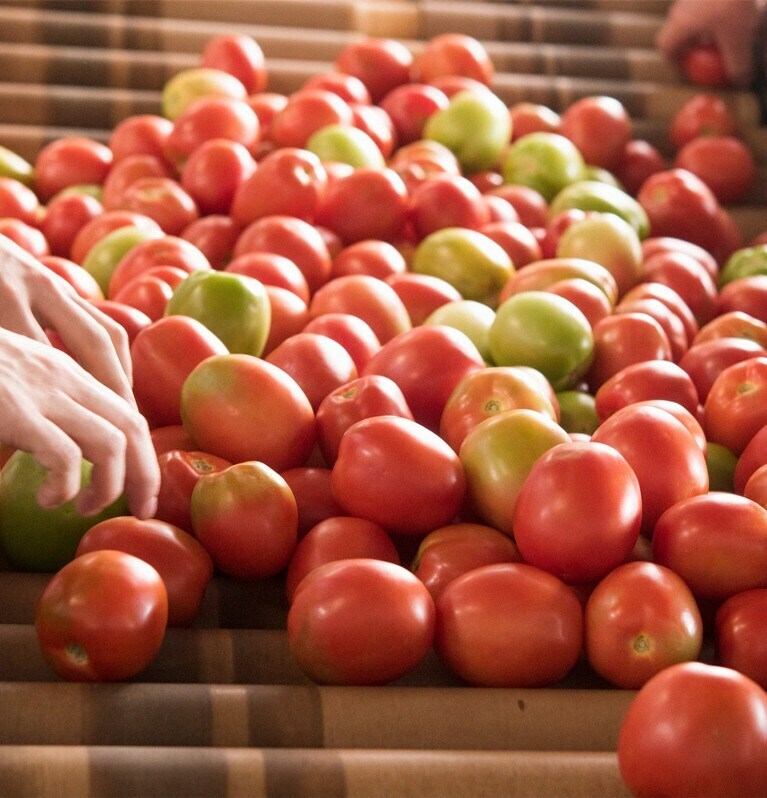 When it comes to choosing fresh tomatoes, look for ripe but firm, unblemished tomatoes with a rich, red colour. Tomatoes grown in lots of sunshine taste the best. If you grow your own tomatoes, you can find yourself with a glut to use up. Making your own tomato chutney or tomato sauce for freezing is a great way to preserve them. Don’t waste any unripe green tomatoes either; these can be used to make green tomato chutney. The great thing about cooking with tomatoes is that they go well with so many flavours, from onion and garlic to lemon or chilli. Herbs are very good with tomatoes; my favourites are basil, bay, rosemary and thyme. What’s yours? Cherry Tomatoes: These small, round tomatoes are noted for their sweet flavour. Use them in salads or as the base for a cooked tomato sauce or soup. They also add a lovely touch of colour to dishes. Chopped tomatoes: Tinned chopped tomatoes are a store cupboard essential that everyone should have in their kitchen. During the winter months, when fresh tomatoes lack flavour, a tin of tomatoes is a great way to add tomato flavour to dishes like sauces or stews. Sundried tomatoes: This traditional Italian ingredient is made by drying tomatoes in the sun. The drying process means that the tomatoes retain a powerful flavour and chewy texture, and can be used later on in the winter. Sold dried or in oil, they can be added to pasta sauces, stews or as part of an antipasti platter.